[Review] Best cupcakes I’ve ever tried! We go here every year for my oldest daughter’s birthday. 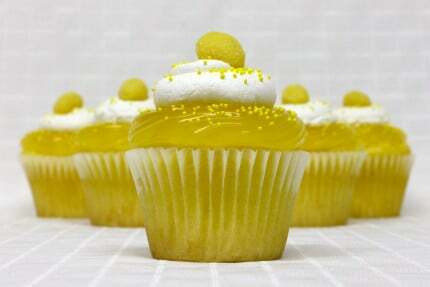 The cupcakes are still moist, delicious and their new location is even more convenient. Best cupcakes I’ve ever tried. Can’t go wrong with their cupcakes. We usually get the basic cupcakes for the little ones but they have so many flavors, even adults will love. Had an assortment of four which included the lemon tart cupcake. Everything about it was perfection!!! Patty’s Cakes was included in our wedding package and we really didn’t know what to expect. Let me just say, they really exceeded our expectations from the day of the tasting to our wedding day, they were so great to work with. Our cake was a delicious hit with our guests and it was absolutely more beautiful than I imagined it would be. [Review] Fantabulous! Patty’s is my favorite place! Fantabulous! Amazing flavor combinations, fresh, moist cake with lovely icing flavors, too! I continually visit and bring treats for every gathering I attend. My favorite place!! [Review] Love the red velvet cupcakes! Sooooo delicious – LOVE the red velvet cupcakes!!!! [Review] Patty’s is an excellent place to treat yourself! 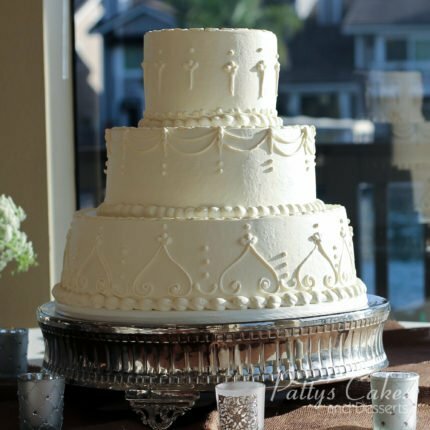 Patty’s Cakes is an excellent place to treat yourself to a yummy dessert and book your special occasion cake! My fiance and I loved their cakes, as well as fillings. It was so hard to choose which one because they are all so delicious! Professional and welcoming staff, who answered all of our questions. Can’t wait to taste our wedding cake in a few months! Tried cupcakes here a few weeks ago and they were delicious. I like how the cake wasn’t too sweet which made it perfect when biting into the frosting. Definitely recommend this place to get cupcakes! [Review] Patty’s Cakes was amazing! 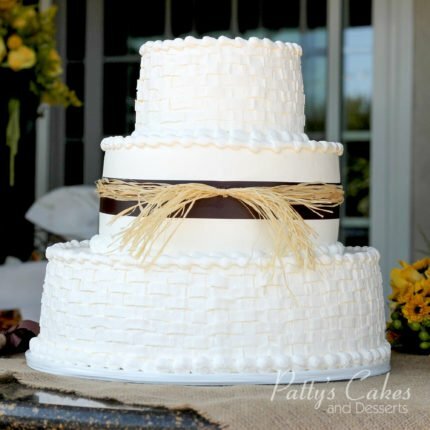 From the tasting (fun, relaxed, DELICIOUS) to the wedding day, Patty’s Cakes was amazing. I’ve been to enough weddings with sub-par cakes that I started to expect that to be pretty standard. My fiance and I were actually shocked at how good their cake was at the tasting. We went with a totally different flavor than expected. 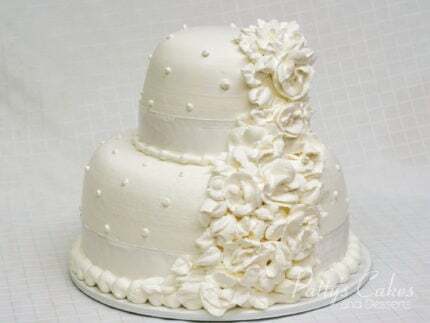 On the wedding day, the cake was delivered quickly, easily, and on time, it looked gorgeous and fun and tasted awesome. ZERO complaints about this awesome bakery. [Review] We received so many compliments on our wedding cake! I can’t even tell you how many compliments we received on our wedding cake! We went with a red velvet and mint chocolate chip cake. I definitely recommend them.